Obituary for JoAnne (Mendelson) Pollak | W. Orville Kimmel Funeral Home, Inc.
On Friday, February 1, 2019 , JoAnne (Mendelson) Pollak, 69, of Hampden Township, beloved wife, mother, grandmother, and sister passed away surrounded by family. Born July 17, 1949 in Flushing, NY, JoAnne was the daughter of the late Irving and Gloria (Lazear) Mendelson. A dedicated and hard working student, she was a graduate of Valley Stream South High School and attended Long Island University - CW Post. While growing up in New York, she spent summers at Camp KenMont KenWood in Kent, CT. It was there in 1965 that she met her future husband, Jeffrey D. Pollak. They were married on August 24, 1969. They made their home and raised their children in Mechanicsburg. They enjoyed 42 years of marriage until Jeffrey passed away in 2011. 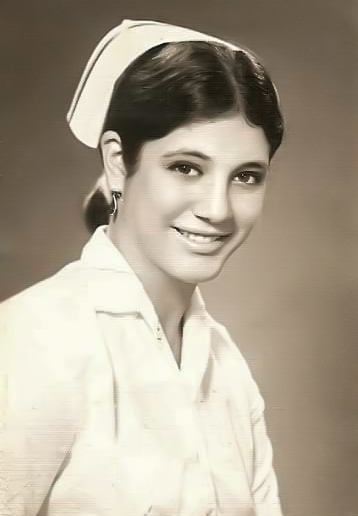 JoAnne had been a phlebotomy lab technician at Roger Williams Medical Center in Providence, RI and Albert Einstein Medical Center in Philadelphia. She was a dedicated stay-at-home mother of five until her youngest started school. She then worked as a customer care specialist for the former Book of the Month Club in Mechanicsburg. Although she left Long Island, JoAnne was still a New Yorker at heart. Her accent stayed with her, particularly when she found herself in the company of fellow New Yorkers, and she was quick with a comeback. An avid sports fan, JoAnne appreciated watching any athletic competition, but none more than her beloved NY Mets. JoAnne was a fixture at her children's activities, always cheering them on and supporting them. She enjoyed cooking for her family, bowling in a league at Trindle Bowl, spending time with her girlfriends, and learning about her family history. A true child of the 60’s, she never stopped listening to music from the era, especially the Supremes and the Beatles. She believed in peace, love, and generosity. She is survived by her children, Ghia D. Wittlin (Eric Wittlin), Camp Hill; Aja L. Pollak (David Patselas), Philadelphia; Jenna R. Pollak (Derek Charles), Mechanicsburg; Robbi O. Pollak (Mike Woltman), Mechanicsburg; and Andrew C. Pollak, Philadelphia; her stepmother, Phyllis Mendelson, Floral Park, NYC; three brothers, Richard Mendelson (Rose), Staten Island, NY; Peter Mendelson (Kathy), Massapequa Park, NY; and Robbie Mendelson (Debbie), Smithtown, NY; three grandchildren, Jocelyn, A.J., and Cameron, and many nieces and nephews. In addition to her parents and husband, JoAnne was preceded in death by her sister, Cathy Mendelson. A Memorial Service will be held 3:00 pm, Thursday, February 7, 2019 at Kimmel Funeral Home, 2001 Market Street, Harrisburg. The family will welcome visitors from 2:00 pm until 3:00 pm. In lieu of flowers, contributions in her memory may be made to the American Heart Association, 4250 Crums Mill Road, Suite 100, Harrisburg, PA 17112.